Just Because is the first single from the Strays album. It was released on July 15, 2003 by Capitol Records. The song has an accompanying music video that features the band inside a dome of lights. A 12″ single was released in Australia, Canada and Europe. It includes two live bonus tracks recorded from the December 31, 2002 Jane’s Addiction concert at the Wiltern Theater, in Los Angeles, CA. The cover & disc artwork are the same across all versions, the only differences are subtle differences in the liner notes. 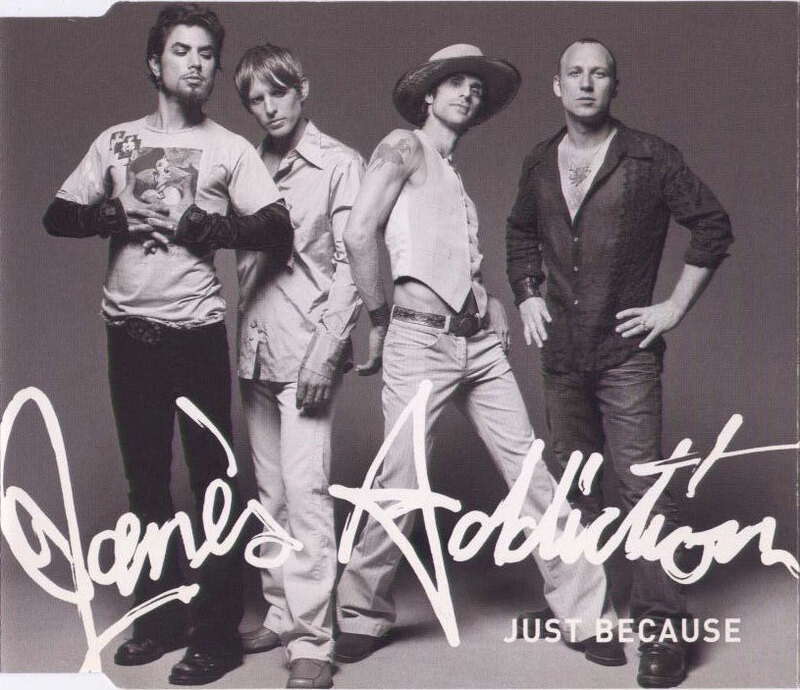 A 7″ single was also released in Europe and only includes Suffer Some from the December 31, 2002 Jane’s Addiction concert at the Wiltern Theater, in Los Angeles, CA. This version was released on CD and 7″ vinyl. The U.S. promo version of the single comes in a slip case. The back of the slip case is perforated so you can see the inserted disc. The disc itself includes a design where white shapes can be seen through the perforations on the case’s backside. Jane’s Addiction are back!!! Prepare to be addicted!!! The vinyl version has track 1 on side A, and track 2 on side B.